We provide sensible solutions to difficult relationship problems. Fullers Family Law is an established firm of Solicitors specialising exclusively in the field of Family Law. We understand that the ending of any relationship is never very easy and take care to never underestimate that fact. We pride ourselves on providing a professional and friendly service to guide you through problems in your family life. However daunting it may seem, we are here to help and support you from beginning to end, ensuring that the decisions you arrive at are the best ones for you and your family. We understand that when relationships break down, life can become difficult. Our approach to the mediation process is creative and flexible. We know that for most couples discussing and sorting out their finances can be one of the most challenging elements of a divorce. We understand that if you are thinking about a divorce or separation, the welfare of your children is likely to be one of your biggest concerns. We understand that when relationships break down, life can become difficult. We know that thinking about a separation can be very upsetting and disruptive. We understand that if you are unmarried and your relationship breaks down you may be confused about the best way forward. If you are experiencing domestic violence or abuse, we understand that you will be upset, and might find it difficult to discuss what is happening to you. We understand that collaborative law is a fundamentally different approach to dealing with relationship problems and breakdown. To provide the very best legal advice, service and outcomes for our clients. We offer a friendly service focused on you and your needs. Read some of the questions that we are frequently asked. Or alternatively contact us directly and we will be able to help. 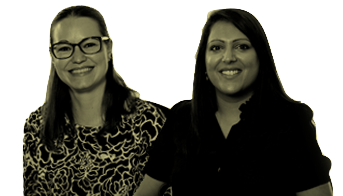 Our highly qualified lawyers are members of Resolution, working to their code of practice, encouraging sensitive and cost-effective solutions that consider the needs of the whole family, including the interest of any children.